Nothin’ But Views is located high up the mountain at Legacy Mountain Resort. As you enter Legacy resort and drive up the mountain, you will feel a sense of excitement. It will not be a frightened excitement caused by the roadway. The roadway in Legacy Mountain resort is wide, well cared for and easy to navigate. The excitement you feel will be caused by the multi-level vistas all around you. 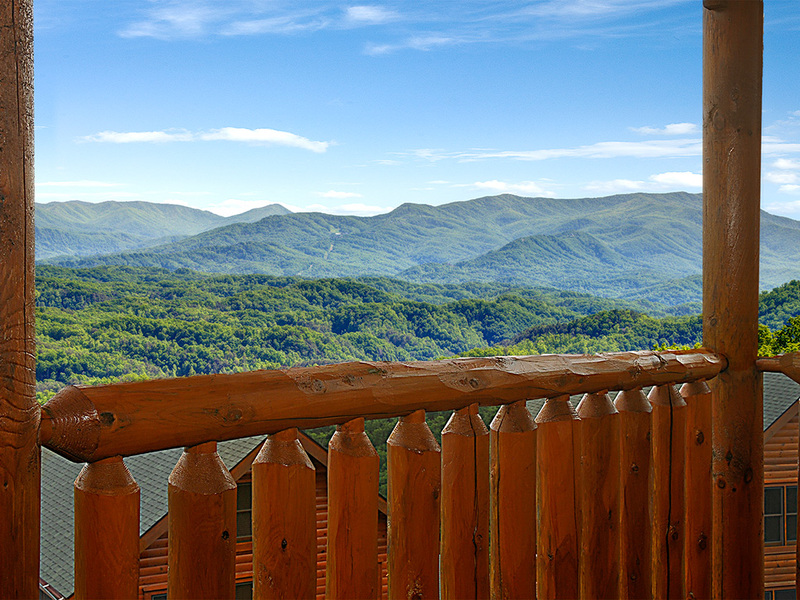 While at Nothin’ But Views, you will enjoy panoramic views of Mount LeConte. The workmanship of the cabin includes luxuries such as cathedral ceilings, hard wood floors in the living room and dining room and tile in the kitchen and bathrooms. The cabin has tongue and groove walls and ceilings throughout. The dining and living rooms have an open floor plan. There is a private master bedroom on each of the two floors. There is also a loft with two twin beds serving as a third bedroom.